shows in the feedback below. I’ve received your statement and receipt and just wanted to thank you so much for all you did today regarding the water tank and leaking pipe. We appreciate very much your careful and patient explanation of everything that needed done and how you were proceeding. 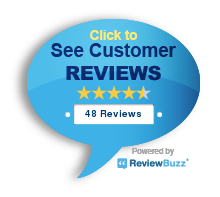 We will definitely keep you in mind for any further jobs we may need done and will definitely recommend Blue Moon Plumbing and Heating to others. Thanks again. I was very happy with the service I received. The technician came promptly and was extremely courteous. I will definitely use this company for all my heating and plumbing needs. Great job on time and efficient while at job site and was easily able to do the extras that came up. Thanks again. Chris was AMAZING! We are EXTREMENY happy with both his work and his professionalism. We HIGHLY recommend Chris. Technician Danny attended to install under mount sink, garburator and new piping. He was efficient, professional and took the time to explain the breakdown of the invoice. I would recommend Danny and Blue Moon Plumbing for any plumbing needs. I have my new hot water tank in and the job is amazing. Blue Moon Plumbing should put on a course on installations of hot water tanks. Blue Moon is a very highly professional company right from the first phone call to the very end of the fantastic job. Thank you Blue Moon. If you go to Home Depot and buy a hot water tank anywhere in the lower mainland these are the people you want to do the installation. Justin you are the best. Christine you are right beside Justin, with excellent service and quality work. I had a problem with a faulty kitchen faucet. I called Blue Moon and the technician came out to fix the problem. He is very professional and extremely friendly. He diagnosed the problem, got the part and repaired the problem. He also checked on a toilet issue and was able to easily fix that situation. I wouldn’t hesitate to call on Blue Moon whenever I need their services. Excellent job! Our technician was very helpful in giving me all my options and I appreciated that very much. I will be contacting him in the future for more help with my plumbing and heating needs.